It's oddly satisfying to watch all that blush and bronzer go down the drain. 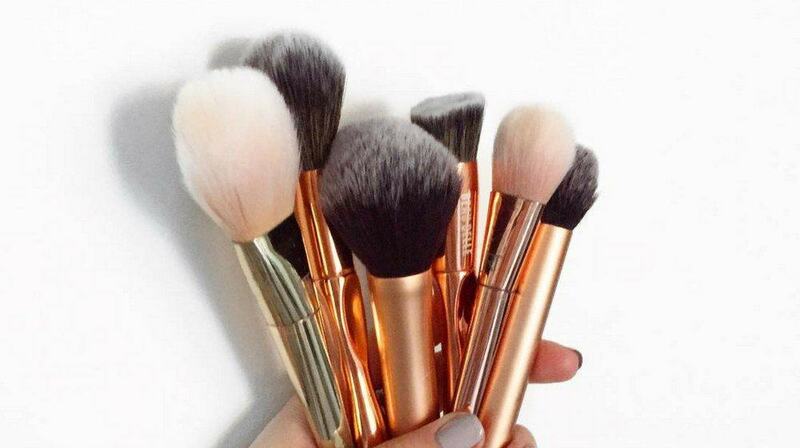 Are you guilty of neglecting your makeup brushes? Letting the powder and cream formulas build up on the bristles for weeks? Using more than one color without cleaning in-between? GASP! It's time to spend a few minutes each week getting the gunk out. 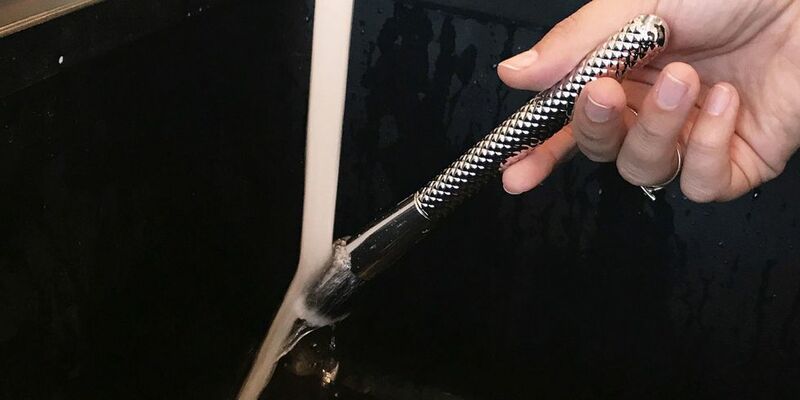 Here's a step-by-step guide to cleaning your makeup brushes, plus some of our favorite brush cleansing formulas. Rinse the bristles under water. Avoid getting water above the handle of the brush, which can loosen the glue over time. The brush we're washing is Moda Metallics Buffer brush (beautyusa.royalbrush.com). 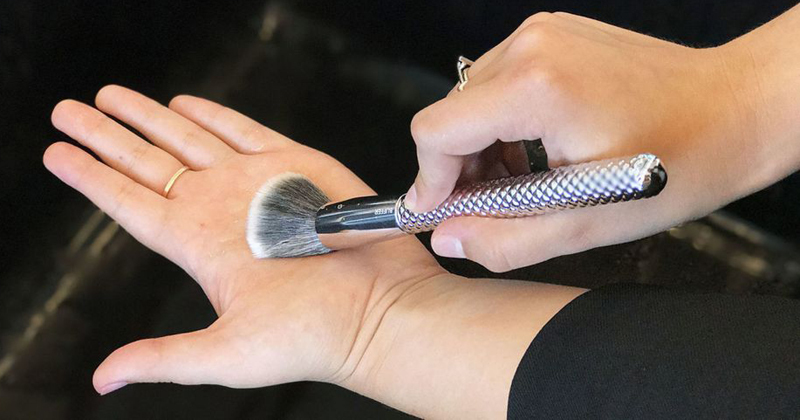 Swipe your brush across your palm in a gentle brush cleanser. If you have more than one brush to wash, set each one aside after soaping it up. Again, be sure the water doesn't touch your brush's handle. Gently press on the bristles with your fingers to release excess water. Don't tug too hard! Lay the brush or brushes flat on a towel overnight. They'll be ready for you to use again in the morning. 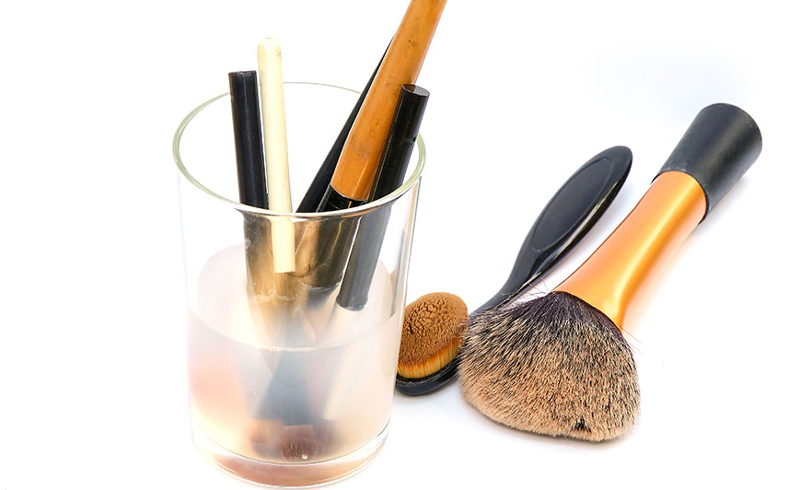 Many makeup artists believe brushes are the most important step for achieving great makeup, so if it's been quite a while since you lathered up your own, it's time to get cleaning. 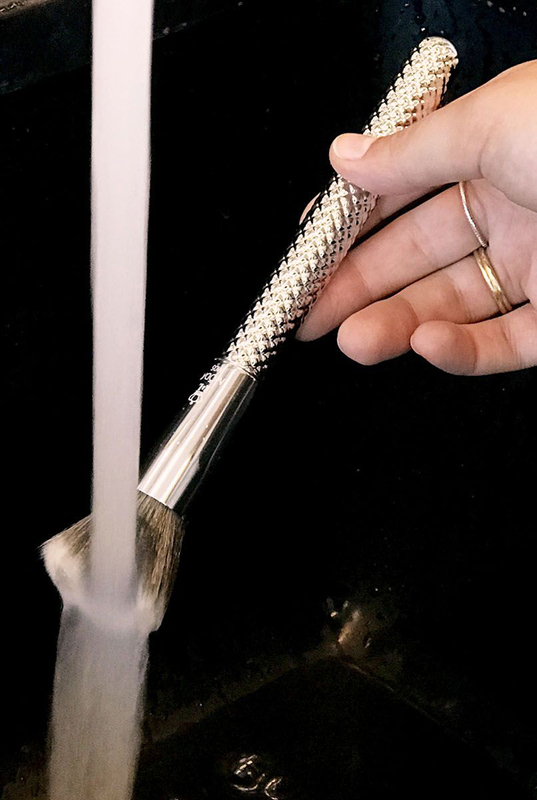 Keep clicking for some brush cleanser recommendations! A little goes a long way with this affordable cleanser, which can be used on both brushes and sponges. This alcohol-free formula rinses away super-easily, so there's no cleanser residue left when the brush dries. The aloe, chamomile and jojoba in this formula keep it gentle, but it's effective on both natural and synthetic bristles.